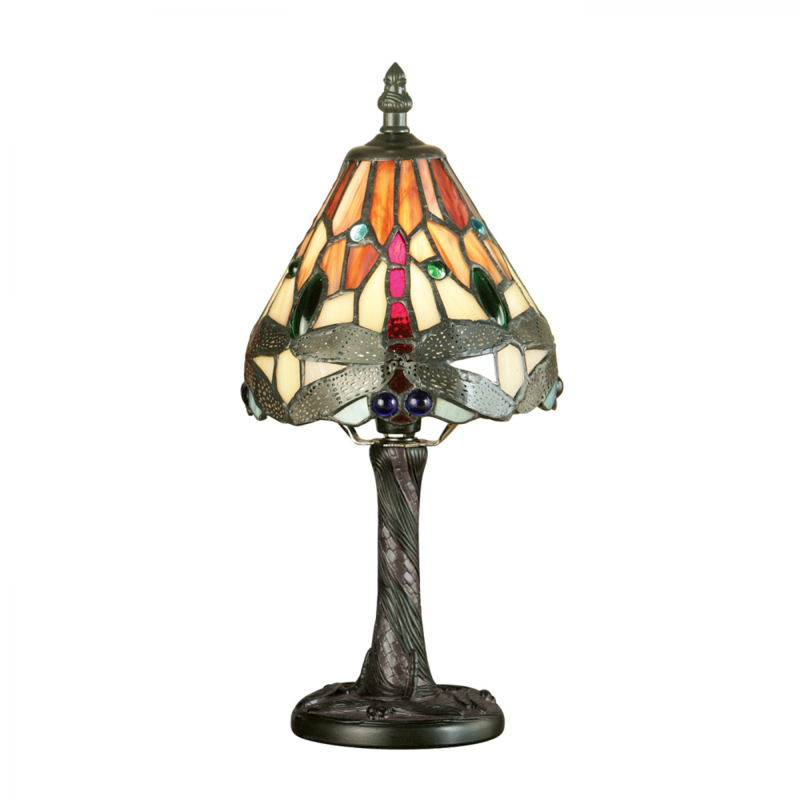 A stunning mini table light with the iconic Tiffany Dragonfly design in a vibrant oranges and reds, with glass beading a dark bronze effect fitting. Compatible with LED lamps. 31.5cm height x 14.5cm diameter.